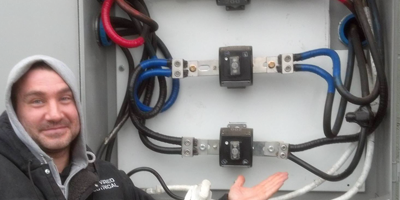 Hot Wired Electrical specializes in residential, commercial, and industrial electrical work. 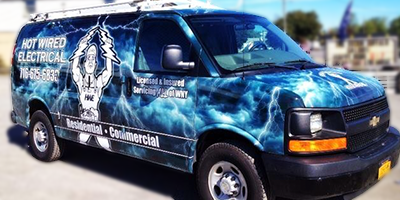 Hot Wired Electrical is fully insured with general liability, compensation, and disability insurance and promises to leave your home and business spotless. Licensed and Serving All of Buffalo and surrounding areas including Amherst, Buffalo, Cheektowaga, Clarence, Depew, E. Amherst, E. Aurora, Grand Island, Hamburg, Kenmore, Lancaster, Lakeview/Niagara Falls, Tonawanda, Town of Tonawanda, City of Tonawanda and Rochester. Hot Wired Electrical has an extensive background in wiring single-family homes, multi-family homes, and apartments. Hot Wired Electrical has an extensive background in wiring office complexes, educational institutions, restaurants and much more. Buffalo Website Design by Quad-B.